Season pass holder? The Stowehof offers a great alternative, featuring in-house food and beverage, comradery with other skiers, crackling fires, and worry-free reservations and accommodations. 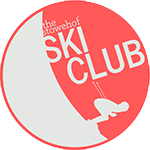 Simply prepay a total of $1199 to become a member of Stowehof Ski Club. Once you join, your initial payment will be posted as a credit for any future reservations, and you’ll receive exclusive, exciting perks.